George Zimmerman, seen here during a hearing in April, goes on trial this month. Jurors will be identified by number but will not be sequestered. Prosecutors in the Trayvon Martin shooting case have informed the court of a new exhibit that they claim shows defendant George Zimmerman once applied to become a police officer. A filing by prosecutors this week included a description of an application from Zimmerman and a rejection letter from the Prince William County Police Department, but no explanation of what they plan to do with it. NBC has not confirmed that the description is accurate. The filing said the police department was in Maryland, though Prince William County is in Virginia. The police department in Virginia could not immediately confirm Zimmerman had applied for a position there. The new filings also suggest that the prosecution plans to make an issue out of Zimmerman's membership at a Florida martial arts gym, which bills itself as "the most complete fight gym in the world." It's unclear how prosecutors plan to use that against the neighborhood watch volunteer, who says he was defending himself when he shot 17-year-old Martin on Feb. 26, 2012, in Sanford, Fla.
Zimmerman, 29, has pleaded not guilty to second-degree murder and his trial begins with jury selection on Monday. In other filings this week, the defense asked Judge Debra Nelson to restrict prosecutors from using certain terms, such as "vigilante" and "wannabe cop." The defense also want limits on the use of the phrase "profiled." 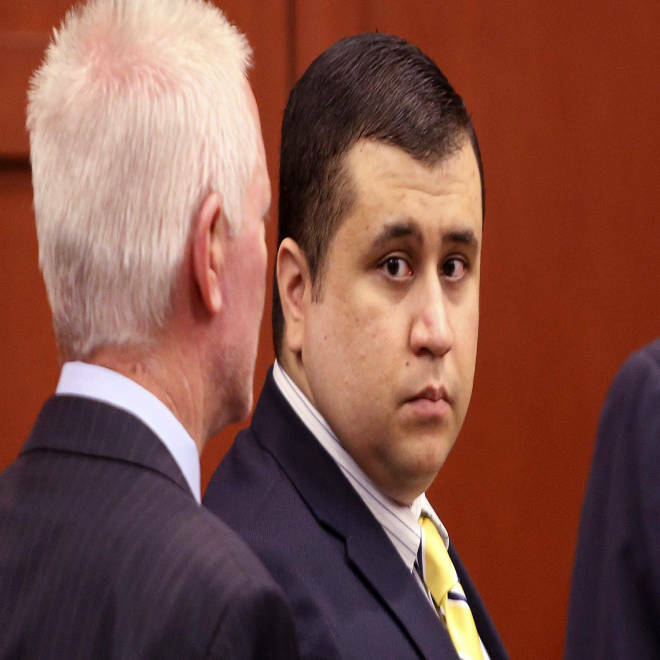 Prosecutors have alleged that Zimmerman, who is white of Hispanic descent, profiled the black teen before the deadly confrontation. The judge has not ruled on the motion. She did, however, agree with the defense that jurors names should be kept private, known only to the court and the lawyers and referred to by number in public. The defense also wanted the jury pool to be sequestered, but Nelson ruled that "such drastic measures are unnecessary." Editor's note: George Zimmerman has sued NBCUniversal for defamation in civil court, and the company has strongly denied his allegations.